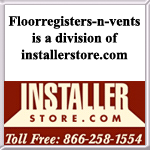 Our maple vents have a special tongue and groove system that helps them install seamlessly in your hardwood floor. The flush mount register for this reason must be installed along with your floor in order for them to stay in place. The maple vent will then sit flush with your hardwood. The flush mount register is also made with a flat steel damper that will adjust by sliding it open or closed. 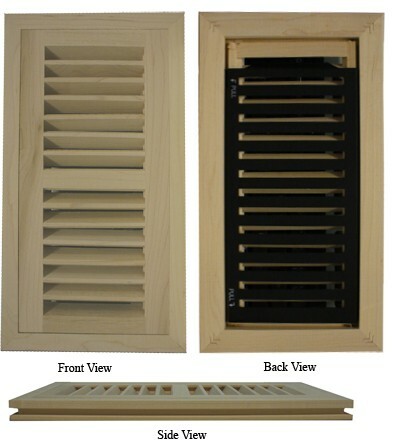 Our maple vent will distribute your airflow in two directions and has a higher output than most floor registers. Made in the USA, these flush mount registers are crafted out of the finest maple wood. We leave the maple vents unfinished so that you can stain them along with your floor. The flush mount register also is meant for floors that are 3/4" thick. *Also available are flush mount registers that are 1/2" or 5/8" thick. Call for pricing and availability. 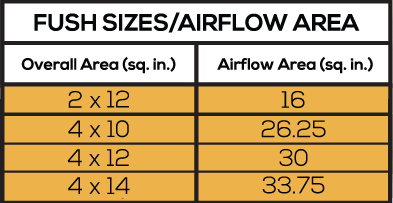 Tip: For ordering purposes, you would take measurements of your floor opening and order according to that size. Maple vents must be installed at the same time as your flooring. These cannot be used in floors that are already installed. We have many styles and types of both flush mount registers in other wood species as well as wood registers for already installed floors. These maple vents are a wonderful choice for homes looking for a lighter, but still rich coloring out of their hardwood. Purchase yours today.